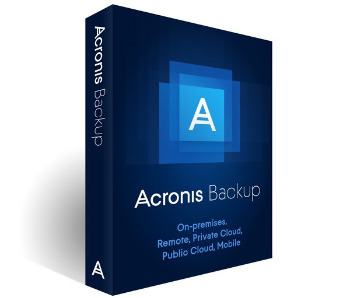 Acronis Backup 12.5 is the world’s easiest and fastest backup solution for all your data, whether it is located on-premises, in remote systems, in private and public clouds, or on mobile devices. With enhanced backup validation and blockchain-based authentication of your backups with Acronis Notary™, Acronis Backup 12.5 is the most reliable backup solution on the market today. Increase user service availability by protecting your Office 365® mailboxes, Microsoft Azure® VMs, and Amazon EC2® cloud workloads. Migrate workloads easily between various clouds, virtual systems, and physical machines (P2C, V2C, C2C, C2V, and C2P). Reduce time-to-action and resolve issues quickly with customizable dashboards for quick insights into your infrastructure. This conversion is supported in a backup plan or in a separate conversion plan created on the Plans tab.